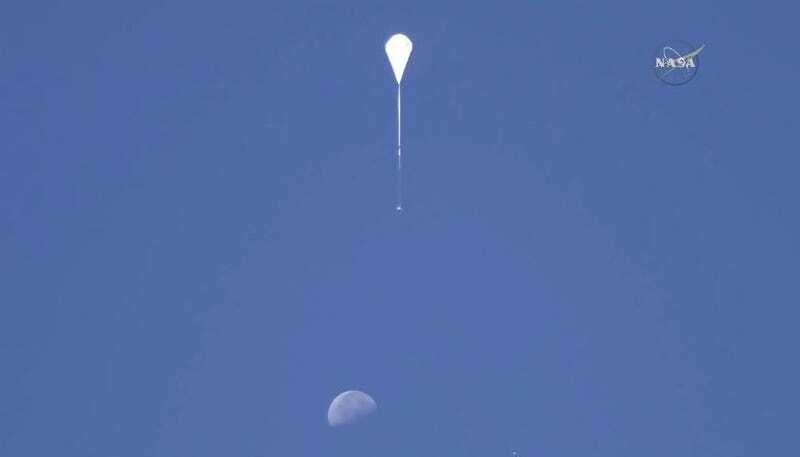 Dammit, NASA's Experimental Mars Parachute Just Failed. Again. A flying saucer plummeted through the skies over Hawaii today in the second test of NASA’s new Mars landing system. If this had been a real flight to Mars, we’d have just killed a rover by slamming it into the planet below. The atmosphere of Mars is very, very thin, and we send spacecraft hurtling at it very, very fast. We’ve maxed out the capacity of the current landing system to slow landers to subsonic speeds, so NASA is testing an inflatable saucer and massive parachute in the skies over Hawaii. During the original test flight last summer, everything worked great except the parachute started shredding before it even fully deployed. After a redesign and rocket-sled testing, engineers were optimistic this year the parachute would perform to expectations. It didn’t. The testing process is simple: attach the Low-Density Supersonic Decelerator (LDSD) test craft to a massive balloon, send it slowly drifting up to 36,500 meters (120,000 feet) over 3 hours, fire rockets for 66 seconds to boost the craft to even thinner atmosphere at 54,800 meters (180,000 feet) while spinning it for stability, then let it plummet back to Earth. The first stage of slowing down incoming robots is to pop-inflate a 6-meter donut 42 seconds after the rocket burst. The Supersonic Inflatable Aerodynamic Decelerator (SAID) increases drag, slowing the craft while coincidentally turn every rover and lander arriving at Mars into a extraterrestrial flying saucer. Just 16 seconds after that, the next stage is to fling open a truly massive parachute, one so large at 33.5 meters that it dwarfs all rational imagination and takes the record as the world’s largest parachute. Hopefully slowed below supersonic speeds, the craft takes a full 42 minutes to fall back to Earth. The cameras and on-board instruments are all shut down before splashing into the Pacific Ocean in a controlled water impact, protecting and preserving the data for detailed post-flight analysis. On a real flight, once the craft dropped below the speed of sound other technologies like the infamous sky crane would swing into action for the final slow-and-land-gently part of arriving on Mars. Last year, SAID performed perfectly, leaving this year’s focus solely on the parachute. The original discsail design has been modified to a more sharply-arched ringsail with greater structural strength in the crown, and successfully withstood strength-testing when dropped from a helicopter and dragged by a rocket sled across the skies of China Lake. While it’s going to take weeks to retrieve instrument data and high definition footage, analyze it, and figure out exactly what happened, it appears the target vehicle reached altitude in stable flight with everything flipping on and off exactly to schedule. The SAID inflated, yet seconds later as the parachute snapped free and failed to inflate, the heartbroken disappointment of everyone involved in the test flight was audible. Even just watching the livestream was enough investment to be disappointed — I’m downright sad that this is a Learning Experience instead of an unmitigated success. Failure is the path to learning and innovation, but two failures of two designs in a row is frustrating when we rather be cheering that the ominously-named Supreme Council of Parachute Experts overcame defeat with a perfect revised prototype. “Close enough” just doesn’t cut it when trying to slow multi-ton fragile rovers to subsonic speeds on a far-away planet. Had this been the real-deal instead of splashing into the Pacific Ocean for recovery and analysis, the new landing technology would have just slammed a beloved rover into the surface of Mars, scattering wheels and cameras across the dusty landscape. Instead, the parachute is heading back to the drawing board where experts will swarm over all available data to see exactly what happened, to revise the design, and try again. The launch system has one more test scheduled for next summer. What exactly gets tested is very much To Be Determined after analysis of this most recent test data. While the 6-meter SAID-R inflatable donut has been performing gorgeously, an alternate 8-meter SAID-E design has been undergoing rocket tests and might make it into the field next year. As for the parachute: it looks like it’s time for another meeting of the Supreme Council of Parachute Experts that worked on the last redesign to try, try, and try again in the hopes of finding something strong enough to handle the brutal forces of landing on Mars. If we can fix the parachute design and unlock this new landing system technology, we’ll be upgrading on the current parachutes that have been used since 1976. LDSD will not only double the current payload of Mars-bound robots to 1,500 kilograms (3,300 pounds), increasing how much science we can do, but also increase landing accuracy from a 10 kilometer (6.5 mile) region to a bullseye of just 1.6 kilometers (1 mile) and open up higher-elevation landing zones. This isn’t easy, but it’s worth the test flights, redesigns, and time to push our technology to new limits for exploration. Figuring out how to slow down on Mars is not a simple problem, and designing the world’s largest parachute to handle the enormous stresses of supersonic deceleration is a painfully challenging undertaking. The initial results of this test flight were heartbreaking, disappointing, and not what anyone was hoping for when munching on their good-luck peanuts, but it is exactly why we test this equipment here on Earth before entrusting it with our charming robots on interplanetary journeys. We’ll learn from this and keep trying, but it would’ve been so much more fun to celebrate an unmitigated success. It took years to design the new prototype technology, a year to refine it since the last tests, days to wait for weather suitable for a test flight, hours to gently float the craft to testing altitude, and just seconds to realize that the parachute didn’t inflate. Rocket science is damn hard, and damn heartbreaking.